Jacquie McNish was born in Peterborough, Ontario, shortly after which she moved with her family through a series of leafy suburbs in the United States and Canada. 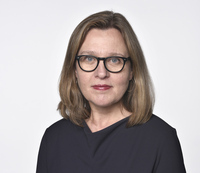 She has spent her professional career in Toronto and New York with The Wall Street Journal and the Globe and Mail. She is the author of four books, the latest of which is: Losing The Signal, The Untold Story Behind the Extraordinary Rise and Spectacular Fall of BlackBerry, which she co-wrote with Sean Silcoff. When not in the attic writing she likes to cycle along Lake Ontario. Shortlisted for the FT/McKinsey Business Book of the Year Award 2015. 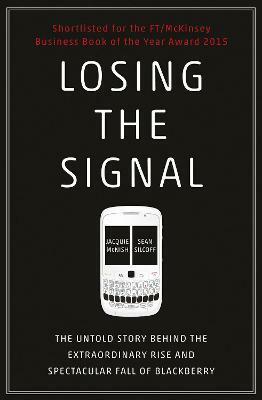 With unprecedented access to key players, senior executives, directors, and competitors, Losing the Signal unveils the remarkable rise of a company that started above a bagel store in a small Canadian city and went on to control half of the US smartphone market. However, at the very moment BlackBerry was ranked the worldâ€™s fastest-growing company, internal feuds and chaotic growth crippled the company as it faced its gravest test: the entry of Apple and Google into the mobile phone market.